Season opener over in Qatar under the floodlights and not a bad start at all for Nolan Group riders! Throughout the whole weekend, from practice to the final race our riders were present near the top of the standings. 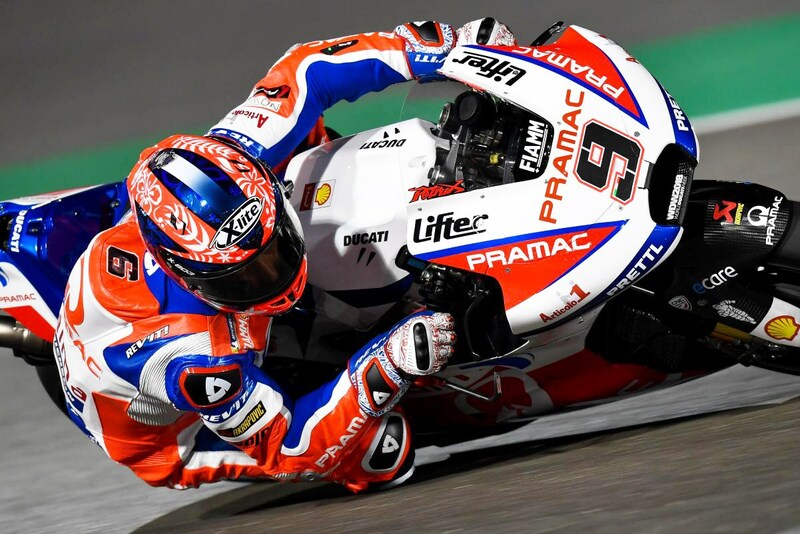 Danilo Petrucci in particular starting the season well with a 5th place finish in the main race after qualifying in 3rd. Hafizh Syahrin making his debut race in MotoGP finished in the points, which is no more than can be asked for in his first ever race! Less fortune for Alex Rins however, whilst placing well in qualifying, he was unable to finish the race. Hopefully better luck in Argentina next round for him! Excellent performances by Gardner and Kornfeil in Moto 2 and 3 respectively, waiting to see our other guys in action in the upcoming races. The next race is Argentina … a hot race in every sense … stay with us and cheer our guys!